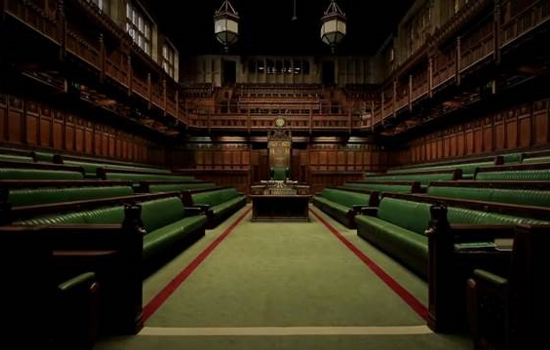 Last week’s dramatic water leakage at the House of Commons prompted a halt to the Brexit debate, as water started pouring in through the roof! MP’s joked about another major leak in Parliament and even legendary spoon bender Uri Geller, tapped in and sought to take the credit to block Brexit! Water companies also need to clean up their act. Industry regulator, OFWAT, has been highlighting the need for greater investment to improve services and reduce leaks. Last week water companies submitted fresh plans to address concerns and also push for lower prices to consumers. Since privatisation, the water companies have reduced leakage from their networks by an impressive 38% from the peak in 1994-95. However, according to water regulator Ofwat, in 2017-18 the water leakage across the country was still a staggering 3,183 million litres a day. Anglian water has previously committed reduce leakage by 22 per cent by 2025. Elsewhere a number of companies have pledged to reduce leaks by 15% between 2020 and 2025. However, the reality is, unless there is a significant shift to reduce water consumption, there is a risk to higher bills to pay for water distribution infrastructure in the long term. Global markets remained optimistic about progress between the US and China on trade talks while further encouraging economic Chinese data was also supportive. Trump told reporters it may take four weeks to agree a framework for a deal and two more weeks to put details on paper, while Vice Premier Liu He said a “new consensus” had been reached. However, sticking points remain around IP, tariffs and enforcement. The mood was also helped by the increased prospect of a market-friendly outcome to the Brexit mess. Investor attention is now likely to turn to the forthcoming first quarter results season from US companies which, now we are through the anniversary of Trumps’ tax cuts and given the global trade tariff uncertainty, might see the first earnings per share declines since 2016. The World Trade Organisation (WTO) warned of slower growth in global trade this year, due to the trade tariff dispute between the US and China. The WTO is forecasting global trade will grow at 2.6% in 2019, which is less than half the rate achieved in 2018. The head of the WTO warns that growth could be even lower if the UK leaves the EU without an agreement. Sterling edged up suggesting global currency traders expect a softer Brexit solution. To the fury of Tory backbenchers, PM Theresa May held Brexit talks with Labour leader Jeremy Corbyn and appears to be preparing to offer a legally binding soft Brexit deal, with a rebranded customs union to secure a deal before the European Council meeting on 12 April. Last week a formal request for an extension to Article 50 to 30th June was made, however, EU officials suggested Donald Tusk is likely to favour an even longer timeframe by offering a ‘flexible extension’ of 12 months, with the possibility of leaving sooner if a deal is agreed in parliament. In the UK, Brexit uncertainty is starting to be reflected in economic data. Strong manufacturing activity data for March reflected manufacturers unprecedented stockpiling in both finished goods and components, amid Brexit uncertainty. Construction activity slowed slightly for the second month in a row. While housebuilding continued to record modest growth, civil engineering fell and commercial projects dropped off at the fastest rate since September 2017. Brexit uncertainty was also reflected in activity data for the dominant services sector which contracted for the first time in nearly three years. This suggests the UK economy has stalled over the first quarter and is at risk of sliding into a deepening downturn in the coming months if Brexit uncertainty is not removed. In Europe, the German manufacturing activity indicator sank to an 80-month low in March, although the service sector improved to a six-month high. Meanwhile, Italy’s manufacturing activity indicator dropped to a 70-month low. US retail sales dropped very slightly in February, although there was a suggestion that consumers may have been hit by the slower than usual processing of tax refunds. Manufacturing activity picked up in March but new export orders dropped to the lowest level since October 2016 reflecting weaker global demand. However, US durable goods data for February suggested some stability is emerging in the manufacturing sector and Nonfarm Payrolls numbers were stronger than expected with 196K gain in March employment. Trump’s criticism of the Fed continues, putting pressure on Chair Powell to cut rates and resume QE. In a backdrop of easing inflation and global growth concerns, this coercion on the Fed could gather sufficient strength to influence monetary policy decisions going forward, as some question whether the Fed’s independence is being compromised. In China, following last week’s positive manufacturing activity data, the service sector has also seen a reassuring improvement with activity at a 14-month high, helped by state support and easier financing conditions. Brent oil moved up to $69 after OPEC production declined for the fourth month in a row while US inventories also dropped. Developments in Libya were also closely watched. Finally, what was the most profitable company in the world in 2018? Saudi Aramco, the state oil company which generated net income of over $111bn. To put this in context, US oil giant Exxon Mobil made just under $21bn.